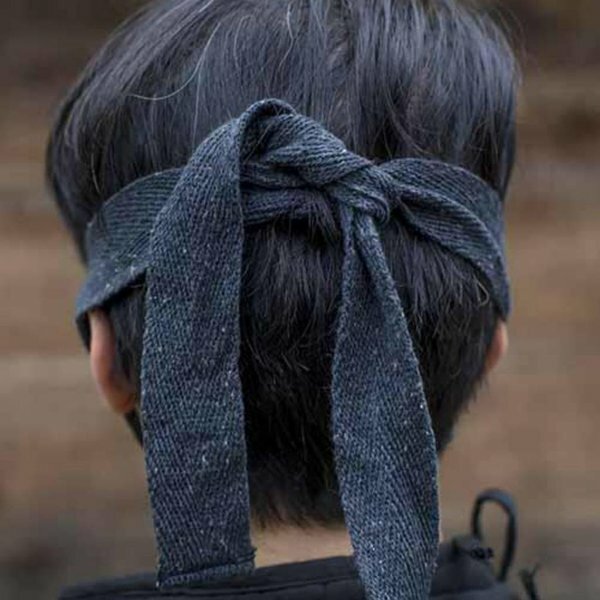 The Mempo was a type of face protection traditionally worn by samurai in feudal Japan. 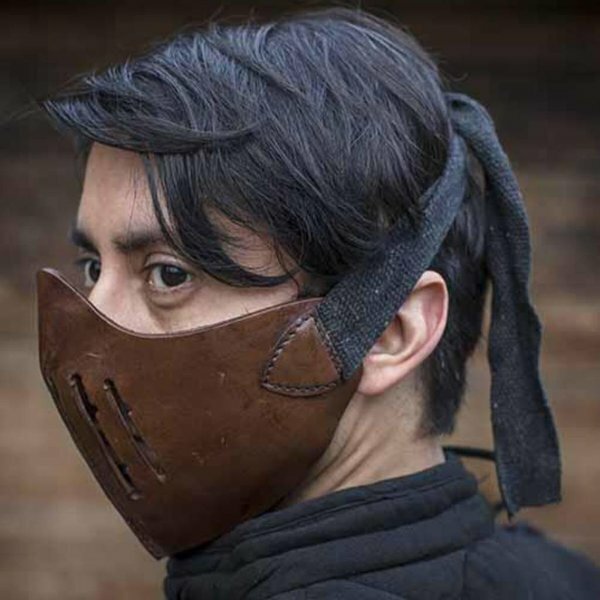 This leather Mempo is the perfect accessory for a samurai, ninja or assassin outfit or for various LARP outfits such as postapocalyptic or Asian characters. 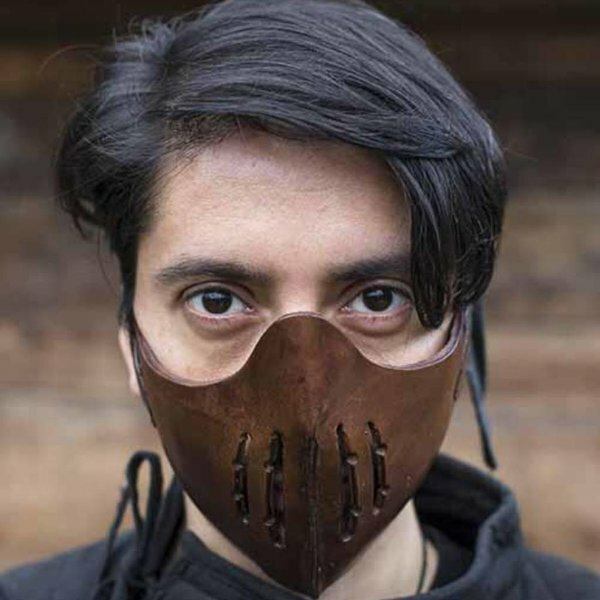 This leather half mask reaches from the nose to the chin. At the mouth it has four slits so you can keep breathing properly and it prevents heat under the mask. You can fasten it behind your head with leather straps.